So how many recumbent riders have we? Discussion in 'Recumbents, Trikes and HPVs' started by Andy in Sig, 13 Sep 2007. Just out of curiosity how many of us here are recumbent riders (bike or trike)? I've got a HPV Street Machine. You've got FOUR recumbents? Why the devil do you need four? Give me one. (Mistral for fast short rides & Audax, Grasshopper for carrying stuff / touring, Trice 'S' for fun and when I'm too knackered to ride up hills slowly e.g. after circuit training). Yup, one for me, a Crystal Trice. M5 Citymate CLWB and a homebuilt wooden lowracer for me. Just the one, a Challenge Hurricane. 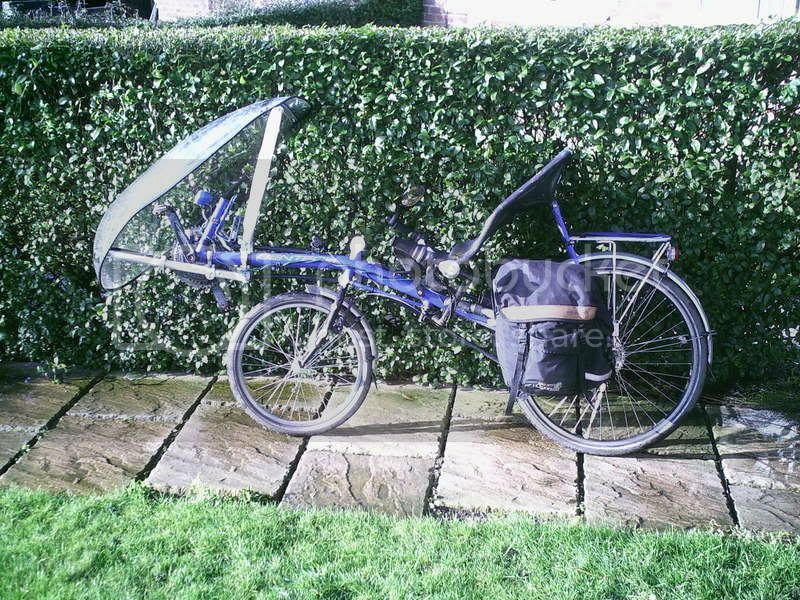 I have found someone to take my former Kingcycle with a view to doing repair work on the frame and making it rideable. Just one for me as well - another streetmachine. An older photo - there's been a couple of mods since then. Would this be the time to mention the 14 non- recumbents my wife and I share? You're just showing off that you've got a garage (or would that be an aircraft hanger???). On a recent cycle through Gosport on the way to Southampton I saw a large hovercraft parked on the right - I guess that's your's as well, eh? duchessjewell and PlymSlimCyclist like this.